Great set of rims and tires with just little rash on on of the wheels. One wheels has a slight bead it. Overall great set. Wheels and tires were $3200, letting go for a less than half. Wheels are a little over a year old. 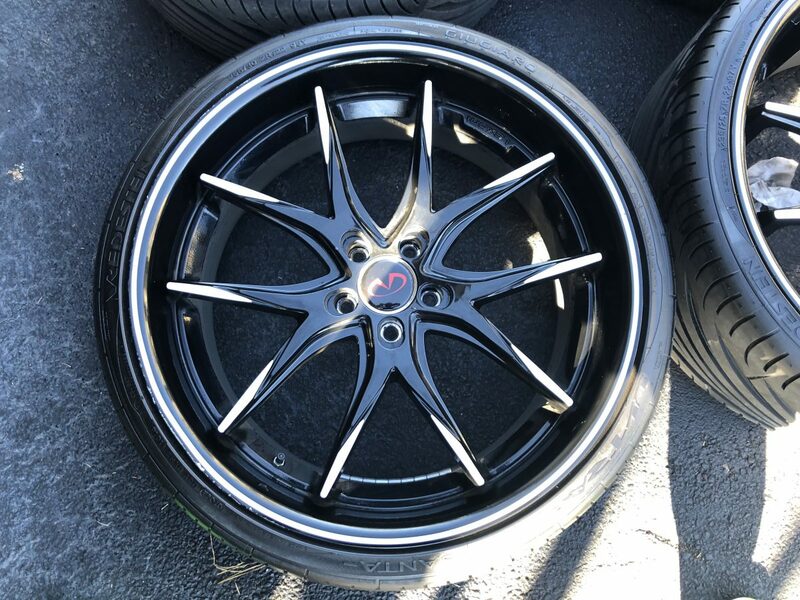 Fitment is 5×114.3. Came off my 2013 Infiniti M37. This is a staggered set. PLEASE DO NOT CONTACT ME OF YOU ARE NOT SERIOUS.